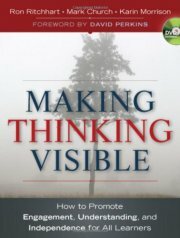 Visible Thinking is a research-based approach to teaching thinking, begun at Harvard’s Project Zero, that develops students’ thinking dispositions, while at the same time deepening their understanding of the topics they study. Rather than a set of fixed lessons, Visible Thinking is a varied collection of practices, including thinking routines?small sets of questions or a short sequence of steps?as well as the documentation of student thinking. Using this process thinking becomes visible as the students’ different viewpoints are expressed, documented, discussed and reflected upon. 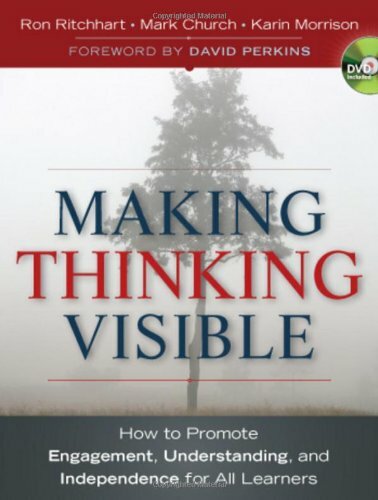 The book also comes with a DVD of video clips featuring Visible Thinking in practice in different classrooms.